Get FREE Pink Glow Seahorse With Select Fisher-Price Toy! You are here: Home / Great Deals / Amazon Deals / Get FREE Pink Glow Seahorse With Select Fisher-Price Toy! What a fantastic deal! Head over to Amazon where you will get a FREE Pink Soothe and Glow Seahorse with the purchase of select Fisher-Price Toys! 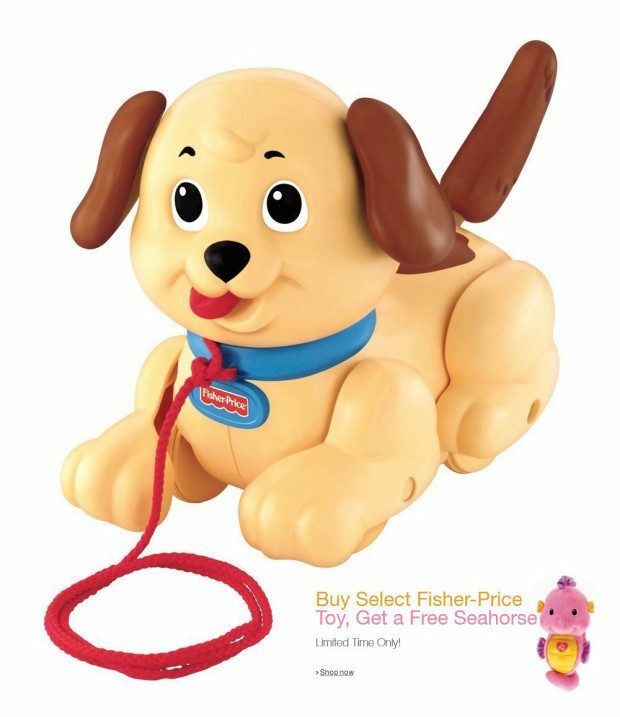 I added both the lowest price Fisher Price toy from the select list – The Fisher-Price Brilliant Basics Lil Snoopy – on sale for $6.73 and the Pink Soothe and Glow Seahorse (price $15.43) to my cart and checked out. The price of the Seahorse was deducted and I got both items for just $6.73 or $3.37 each!